Syria’s dictator will defeat his foes unless America takes the lead and, based on the signals coming from the White House, the odds favor U.S. military action this year. President Bashir al-Assad, Syria’s dictator, appears to have the upper hand in the 15-month old revolution that has claimed more than 10,000 lives. His security forces remain loyal and his allies—namely Russia and Iran—steadfastly protect him from financial and diplomatic pressure and are keeping him armed to the teeth. 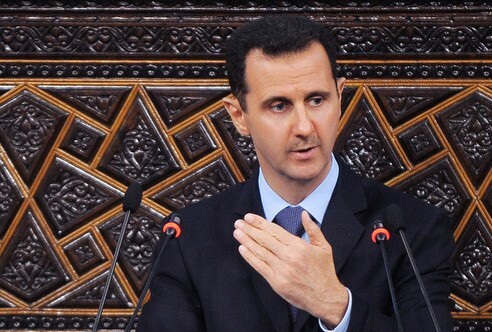 Further, any hope Assad might abandon Damascus was flushed when the United Nations high commissioner announced last week there can be no amnesty for crimes committed under his regime. A similar threat persuaded Libya’s dictator to fight to the death. Assad’s intractable position presents President Barack Obama a tough choice: ignore Syria or intervene. At this point the Obama administration is signaling it might intervene even though no critical American interests are at stake. But right now he is under increasing pressure from members of congress and his Republican opponent, Mitt Romney, who said “It is far past time for the U.S. to begin to lead and put an end to the Assad regime.” The administration is signaling its intention to act by building a case for action. Last week White House spokesman Jay Carney said a window of opportunity for a peaceful political transition in Syria “will not remain open for long.” Then Carney cited the same talking points used earlier in the week by U.S. ambassador to the United Nations Susan Rice to predict dire consequences should Assad remain in power: sectarian war that spills into other countries and morphs into a proxy war with Iran. Connecting America’s Mideast nemesis, Iran, to the Syrian war provides pretext for action because domestic opinion already perceives Tehran as a threat to America’s vital national interests. Carney said the Persian hegemon uses violence in Syria to gain influence by delivering arms and sending troops to advise Assad’s forces. Iranian Revolutionary Guard Corps troops provide operational support to Assad’s security forces and the pro-regime militiamen, the shabiha, many of whom are members of Assad’s minority Allawite Shi’ite sect. Pentagon spokesman Captain John Kirby confirmed Tehran’s complicity in the violence; we “have reason to believe that Iran continues to assist the Assad regime in committing these acts of atrocities,” a reference to the May 25 massacre in Houla that claimed 108 innocent lives. “The president has been in regular consultation with our allies [about the Syrian crisis],” said Josh Earnest, a White House spokesman. Some of our key allies share the view that the time for action is getting close. For example, the British foreign secretary William Hague signaled the situation in Syria has become so grave that military options are being actively considered. Hague said the United Kingdom is not yet ready to supply arms to Syrian rebels, something the Obama administration is planning to do according to the Associated Press. But he warned should the crisis require military intervention it would be vastly larger than in Libya and would require broad international support. Syria’s next door neighbor Turkey believes the international community is preparing to go beyond sanctions as well. Turkish Prime Minister Recep Tayyip Erdogan said last week “There is also a limit to the patience in the UN Security Council” over ending the bloodshed in Syria. The U.S. called for a Security Council meeting this week to debate further action. But the Security Council won’t authorize military action without consent from Russia and China, which have twice vetoed resolutions on Syria. Russian President Vladimir Putin says a political solution is still possible and believes nothing could be imposed by force. Secretary of State Hillary Clinton signaled she believes the Russians and by association the Chinese can be persuaded to back stronger action. “The Russians ... keep telling me they don’t want to see a civil war and I have been telling them their [Syria] policy is going to help contribute to a civil war,” she said. Clinton likely told Putin violence has already spilled over from Syria into several areas in Lebanon, where riots have caused many deaths. Violence is wracking Tripoli as intense clashes occur between extremist Islamists and al-Qaeda, who are collaborating with the Syrian rebels and pro-Assad Allawites. Even the capital Beirut has seen fighting between Sunni groups and supporters of the Syrian regime. The administration is also signaling it has military options. Last week chairman of the Joint Chiefs of Staff Gen. Martin Dempsey told Fox News “There is always a military option.” He said military leaders are “cautious” about the use of force, “but it may come to [that] point with Syria because of the atrocities.” There was another Syrian atrocity last week. “We’ll be prepared to provide options if asked to do so,” Dempsey said. The general admits Syria is a “very capable” adversary with a sophisticated, integrated air defense system and chemical and biological weapons. The administration has already signaled it is preparing to deal with Syria’s weapons of mass destruction (WMD). Earlier in the year the State Department notified Syria’s neighbors of the WMD threat. In fact, the U.S. military is working with the Jordanians on plans to seize Syria’s WMD arsenal should the regime fall. The administration does not want a repeat of the Libya operation whereby arsenals of sophisticated missiles were carted away by terrorists. Subject to Obama’s political decision expect military action to be incremental and subject to Assad’s response to steadily increasing pressure. Likely our first wave will be to arm and train the rebels. A second wave of military-related actions may become necessary if diplomacy continues to fail and Russia and China acquiesce to a UN resolution authorizing the use of force. That would likely be a decapitation campaign designed to knock-out Syria’s key leaders and their security centers using cruise missiles and stealth-delivered precision-guided bombs. A third wave of incremental military action would be the creation of a no-fly zone like the 2011 Libya campaign. That will first require softening Syria’s air defenses followed by a persistent aerial presence using bases in Turkey and Jordan and carriers in the Mediterranean Sea. This step would include partitioning Syria to create safe havens for rebel forces and refugees. The final wave would be an invasion to carry out regime change which must come with a clear UN mandate and significant Arab participation. This would be an Iraq-style operation requiring perhaps 200,000 troops and years of post-invasion stabilization. The Obama administration has already created the pretext to intervene in Syria and now is signaling its intent. The next step is for the president to make the political decision which is expected very soon. 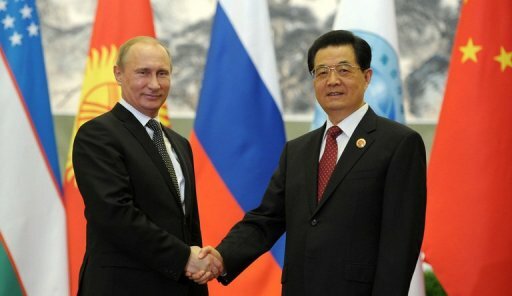 Russia, China come out strongly against Syria action • Channel News Asia?